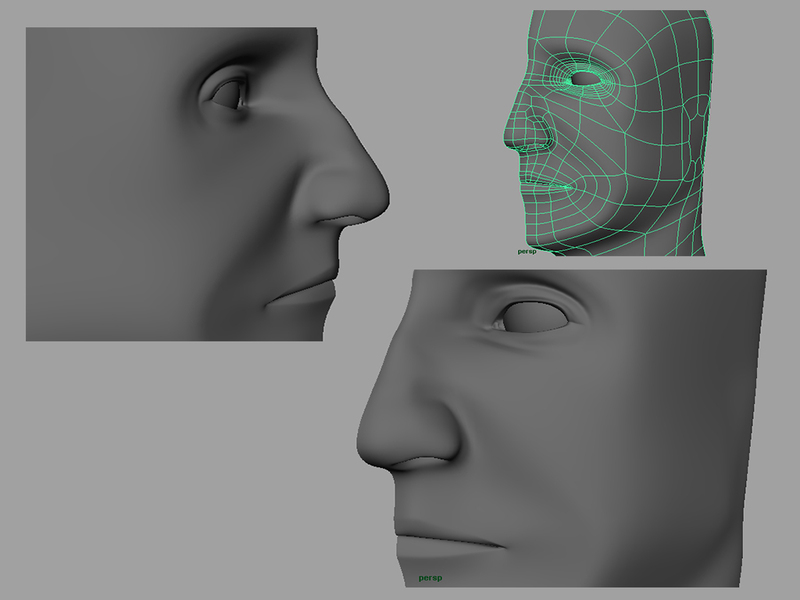 Head sculpt 5, the nose, okay so here the nose was extruded from one of the poly's, this face is then extruded subtly downward a few times (twice I think) and then the vertices are arranged to create the shell of the nose. The underside of the nose, to create the nostrils, some faces were merged, and then this merged face is extruded upward several times to create the interior of the nose. Scaling and shifting the vertices around creates a natural look. Any questions, feel free to ask..